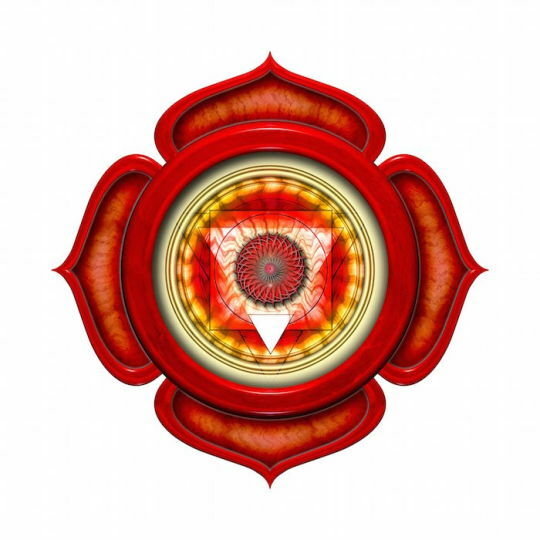 The root chakra is the first chakra and is located at the base of the spine. It is the root of your being and establishes the deepest connections with your physical body, your environment and with the Earth. 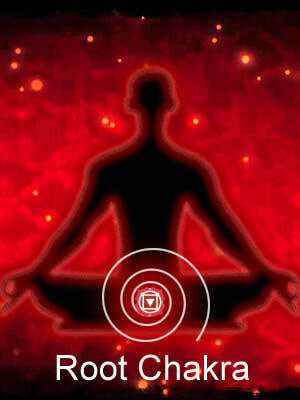 The Root Chakra is the most instinctual of all chakras - it is your survival center. Your fight and flight response is initiated from this chakra. This is your primal, animal nature. 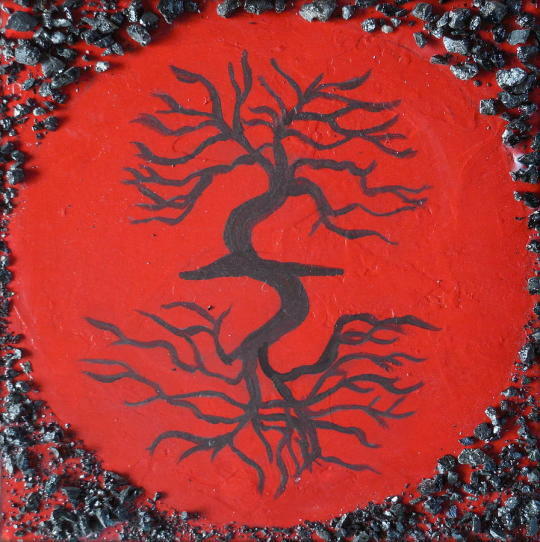 The energy of the Root Chakra allows us to harness courage, resourcefulness and the will to live during trying times. It connects us with spiritual energies of our ancestors, their challenges and their triumphs. The Root chakra carries our ancestral memories, basically everyone experiences challenges or blockages within this chakra. War, famine, natural disasters, and any events that threaten our basic survival, are all recorded within energies of the first chakra. These memories are imprinted in the subtle body and are passed down from generation to generation creating unconscious generational patterns. It is our work to take responsibility for our own lives and bring to light that which is unconscious.All of the seven chakras are important and interconnected with each other. Usually, balancing one chakra will create change in another chakra. It is important though to balance the root chakra first, before we proceed to others, or we will lack the stability and rootedness necessary for true transformation and personal growth. Root Chakra Affirmations: Affirmations are a great way to begin to heal negative programming that can be embedded in our subtle body. Red Carnelian — Light red to orange — Semi-precious — Historically worn for strength and courage, red carnelian is used to cleanse and activate. Red Jasper — Earthy red — Semi-precious — Known as the “ring bringer” stone, red jasper is used to cleanse and balance. Bloodstone — Dark green with red spots — Semi-precious — Traditionally worn to promote self-esteem and repel negativity, it is used to cleanse and balance. Black Tourmaline — Black — Semi-precious — Used for spiritual grounding, this stone is good for cleansing and balancing. Obsidian — Black — Organic gemstone — A stone of protection, obsidian is good for cleansing and balancing. Cleansed and charged healing stones and gems are most effective when they’re in close proximity to the affected chakra. Commonly, they are worn as jewelry or placed directly over the chakra in need of healing. There are numerous ways to incorporate healing stones into your lifestyle and environment. For instance, you may place them around your home and office space, carry them on your person, or even wear them as jewelry. Traditional recommendations for root chakra healing include dietary changes and regular exercise. But when these steps aren’t enough, you may want to consider using the healing properties of crystals and gemstones to restore balance. As with any approach to energy healing, remember, it can take a while for symptoms to completely subside. Feed the Root Chakra with: Root vegetables like carrots, potatoes, parsnips, radishes, beets, onions, garlic, and protein rich food like eggs, meats, beans, tofu, soy products, peanut butter. The spices that suit it are chives, paprika and pepper. 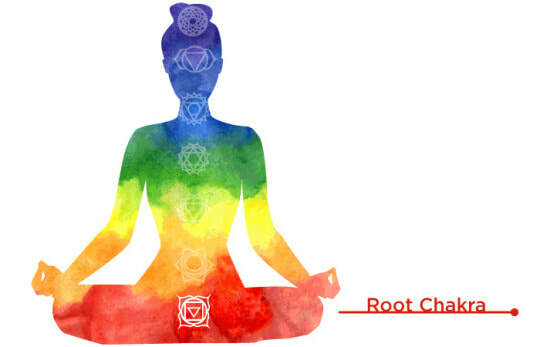 Tips To help open your Root Chakra:StandWhen you’re feeling less than grounded stand with your feet shoulder-width apart and relax your upper body. Let your arms rest comfortably at your sides and allow your hips to rest slightly forward. Breathe deeply and with each exhale feel your connection to the earth deepen. Rinse OffSimply taking a shower can help cleanse and balance the root chakra. Be aware of your physical body as you bathe, Mindful awareness is a tremendous tool for healing the first chakra. Get MovingEveryday physical movement, from running to completing chores around the house, is a great way to heal your root chakra. The key is to be aware of your body and feel the sensation of movement. Awareness is crucial to healing. Mindful WalkingWhether you are walking out in nature or down a crowded city street, be aware of every step you take. Concentrate on your breath and every footfall. With every step take note of the sensation you feel each time your foot touches the ground. Mindfulness of something as mundane as walking can activate the root chakra and ground you to the earth. 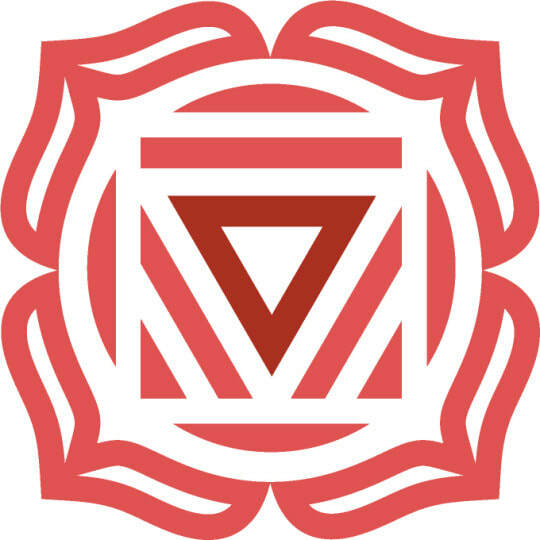 Visualize RedWearing the color red or incorporating it into the decor of your home environment or workspace is a gentle reminder to be aware of the primal, core energy of your root chakra. 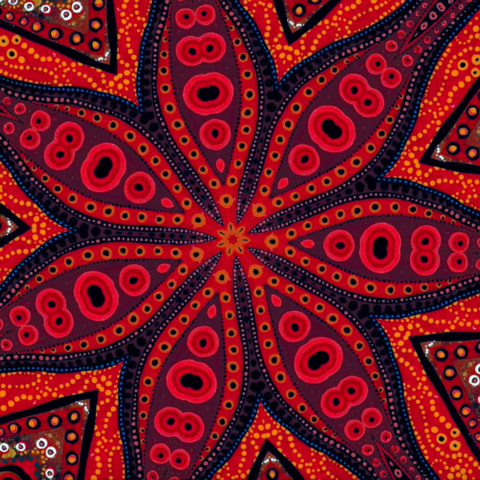 You can even take this one step further by visualizing, or meditating on, the color red. For instance, take a few seconds or even a few minutes to visualize a radiant, red ball of energy at the base of your spine. See it brighten and radiate downward as it illuminates your lower extremities and grounds you. DancingDancing is a great way to open up your root chakra. Whether you dance in public or behind closed doors, the key is to let the rhythm guide you. Allowing the body to be free to move uninhibited will dispel negativity, open and balance the first chakra.